This conceptual design program was conducted by frog design for a financial services client. This project - research to three fully-fleshed ideas for digital campaigns, apps, and promotions - was developed over the course of 3 months. Would you notice the Apple Pay icon if you'd already pulled out your credit card to pay? Increase adoption and association of mobile wallets with a large commercial bank. Multiple concepts and use cases, as determined through client and frog consensus. Apple Pay introduced a whole new method of interaction to the table: hold up your phone to the payment terminal, press the home button, and you’re done. Although there are earlier, related interaction models – namely, the Starbucks app used with a QR reader – many people have reacted to Apple Pay with confusion. Many people are using it wrong. Many users are still carrying around their wallets with them. Many people are thinking about it as a separate method of payment than the linked credit card they’re actually charging. These were a few of the many findings our team discovered on the way to visioning final concepts and usage scenarios for the client. The overall goal of the research was to understand current and prospective mobile wallet users’ attitudes, habits, and behaviors with various payment methods in order to find opportunities for meaningful design direction. 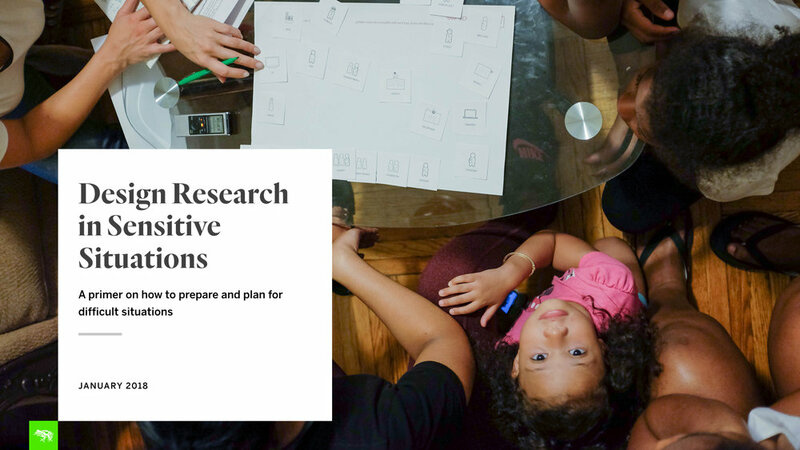 We identified specific research objectives and conducted a number of different studies (in-depth, longitudinal, and contextual) in order to meet them. Since the program was intended to be open-ended and exploratory from the start, managing complexity and distilling clear and instructive insights were important to the path forward. In addition to framing a number of questions for our research plan and discussion guide, I collaborated on the synthesis of this data with my teammates, with the development of insights, archetypes, and opportunity areas. As a part of the brainstorming process that came next, I participated in frogThink workshops with clients to co-create solutions and storyboards. Stakeholders to present frog deliverables to senior management and decide on a final direction for execution. For this project, we did a mix of foundational and generative design research. Ask me about my experience doing evaluative for a different assignment.